Home for Khan was divided between the cement-coloured skies of England’s northern suburbs and the arid desert of Pakistan; neither provided him with security or comfort. As he was shuttled back and forth between these places he would long for the relative safety of the other. Khan was born and partly raised in Lancashire with his younger sister, Jasmine. At the age of three he was taken from his mother and sent with his sister to live with relatives in Pakistan. Their mother was told the children were killed in an accident; the children were told their mother had abandoned the family. This was only the first act of treachery and betrayal that shaped Khan’s life. At the age of six, after three years in Pakistan, Khan was sent back to England to live with his father and stepmother – the other wife that Khan, his sister and mother had never known about. His father’s sudden death left Khan, at the age of nine, to deal with his stepmother’s cruel brother Rafiq, who shouldered his way into the family residence and terrorized the young boy, at times physically abusing him. Khan was removed from school, forbidden to wear Western clothes and forced to attend mosque five times a day. As he grew older, Khan’s life centred around the mosque and his Muslim friends. Yet at the same time he was a teenager, struggling with the question of who he was. This led him to neglect attendance at mosque and join two friends in illicit meetings with non-Muslim girls, where he was introduced to cigarettes and pop music. Though fascinated by these things, Khan’s real interest was hearing about their lives; he would imagine that his own life might have been like theirs if his mother had not left. When Rafiq found out about these meetings his reaction was extreme: Khan was sent back to Pakistan, where he was kept against his will and enrolled in a radical madrassa for rehabilitation. His punishment was more about who he was – the son of a kuffar, an unbeliever – than what he had done. Khan’s dedication at the front of the book is: ‘To Abad. Without his help I would not be here.’ Abad was a fellow student at the madrassa and helped Khan plan an escape from the institution, where the students were systematically whipped and humiliated in an effort to mould them into devout Muslims. With Abad’s help, the thirteen-year-old Khan managed to slip over the wall, evade the armed guards who surrounded the area, and find his way back to his father’s village. Protected by his grandmother, he was finally safe. But even though he was no longer a prisoner of the madrassa, he was still trapped in a small Pakistani village with his father’s relatives. He felt he belonged back in England. In the end, it was another act of violent tribal justice that sent him home. 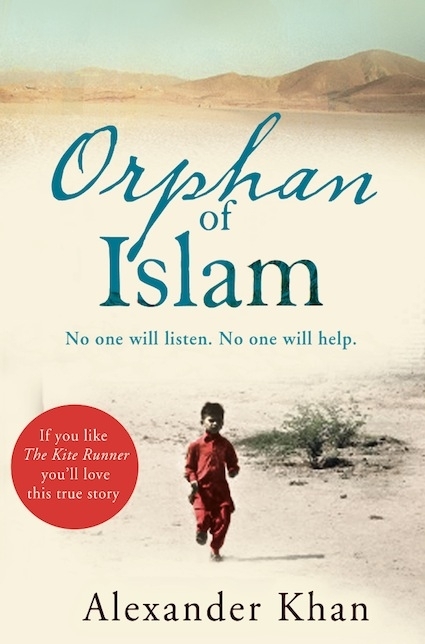 Orphan of Islam is published by HarperCollins.